Beliefs, attitudes and mindsets are crucial elements in developing our creative abilities. That is one of the themes of creativity research, and the work of many psychologists and creativity coaches. Psychologist Heidi Grant Halvorson talks in the audio clip below about the prevalent idea of ‘genius’ for whether someone can be creative – or even aspire to be. She also writes about focus and creating, and that “to be a successful creative, you need to not only be a good generator, but also a good evaluator. The problem is that in practice, it’s remarkably hard to be both. “And the reason for that has everything to do with your motivational focus – how you think about the goal you are pursuing when working on a creative project. Phase 1: Creative idea generation – “Take a few moments to think about what you will gain from successfully completing your project. Phase 2: Creative idea evaluation – “To do this, think about what you will lose if you don’t successfully complete your project – what will the negative consequences be? Heidi Grant Halvorson, PhD, is a social psychologist and Associate Director of Columbia Business School’s Motivation Science Center. Focus: Use Different Ways of Seeing the World for Success and Influence. 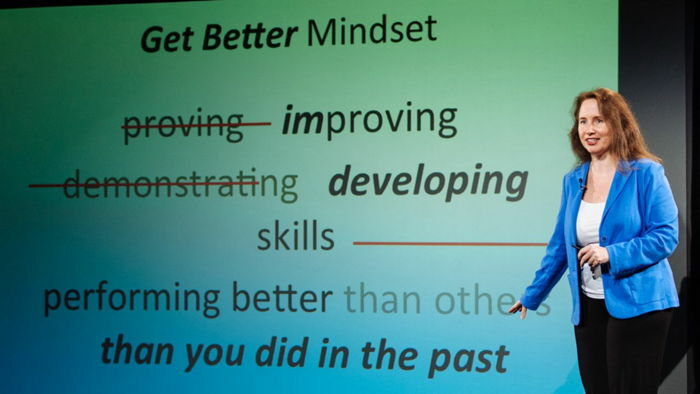 Audio: Halvorson talks about how we “tell ourselves the wrong story about our abilities” and how beliefs can get in the way of our success in various areas. This brief audio clip is from her much longer video interview “The Science of Creative Success” for The Truth About Creativity conference, which was hosted by David Burkus, who interviewed 31 psychologists and other experts on creativity and innovation: Daniel Pink, Scott Anthony, Scott Barry Kaufman, Rex Jung, Gianfranco Zaccai, Keith Sawyer, Jocelyn Glei, Teresa Amabile and others. 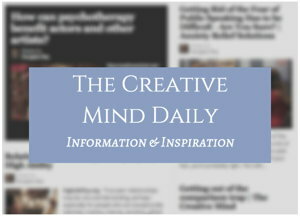 Read more and hear audio clips in my article The Creativity Conference with David Burkus. 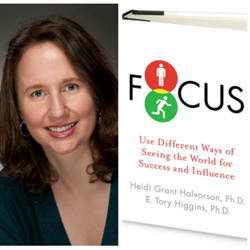 Heidi Grant Halvorson, PhD also hosted The Science of Thriving: at Work and in Life virtual conference – See article with audio excerpts: Creativity and Life: The Thriving Online Conference. What helps you thrive in your creative life?